For the fourth year, Eurekapalooza will be rocking it out at Lake Leatherwood in Eureka Springs Arkansas. An eclectic mix of non-stop musical entertainment will take place on two stages. Enjoy great music, food and activities. Gates open at 11am. The music begins at noon and continues until after dark. Admission is FREE and 100% of concession proceeds go to benefit Clear Spring School. Stiff Necked Fools and more. 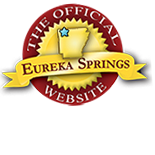 See more wonderful Eureka Springs events and festivals all year long on the Official Eureka Springs Calendar of Events. Staying over? Browse Eureka Springs Lodging and plan your trip. Great Eureka Springs attractions and restaurants and nightlife make Eureka Springs a year round top destination. This entry was posted on September 6, 2013 by estcblog in Arts & Culture, Attractions, Festivals, Musical Adventures, Road trips and tagged Arkansas, Arts, Eureka Springs Arkansas, Ozark.